HOW CHRIS RECORD GETS FACEBOOK™ VIDEO VIEWS FOR $0.0003 EACH AND BUILDS 10,000+ EMAIL LISTS IN VARIOUS NICHES AND MONETIZES THEM AT $10K+ PER MONTH AND MORE! 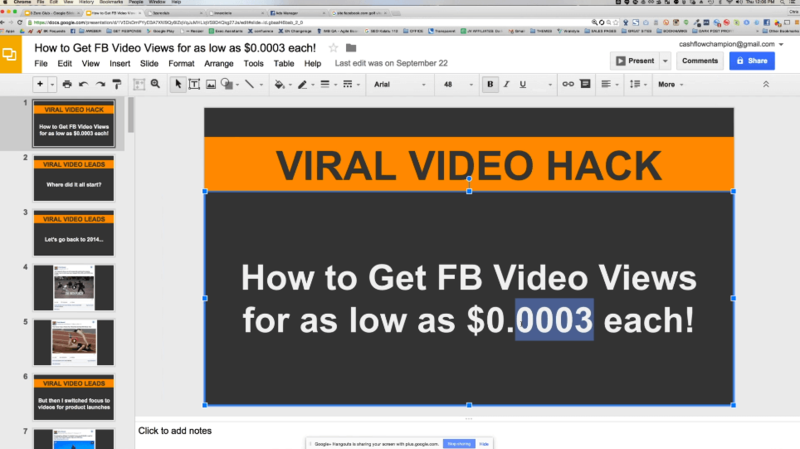 WEBINAR REPLAY: LEARN HOW CHRIS RECORD IS GETTING FACEBOOK™ VIDEO VIEWS FOR $0.0003 EACH! AND MONETIZING THEM WITH MICRO-NICHE SITES TO CREATE PASSIVE INCOME, MASSIVE TRAFFIC, AND TENS OF THOUSANDS OF LEADS ONLINE! How and Why You Should Do The Opposite of What Most Facebook™ Advertisers are Teaching Out There! Most Facebook™ Advertisers teach complex split testing and ad variations that simply end up confusing beginners. On this webinar you will learn a SIMPLE strategy that even a brand new person can learn to get super cheap FB™ video views! He Makes Money in Multiple Micro-Niches Using This FB™ Strategy! Micro-Niches are the wave of the future because they don’t require YOU to be the brand or the face of them to make money. You simply set up the campaigns and let them run on autopilot, so you can start making money even while you sleep! Learn How You Can Join the 3 Zero Club and Start Getting FB™ Video Views for $0.0003 Or Less in Days! Chris Record will share numerous success stories from members of his private FB™ group that are duplicating his success. Finally, a strategy where you can start getting REAL results in just days. Not Months – Not Years – But in Days!